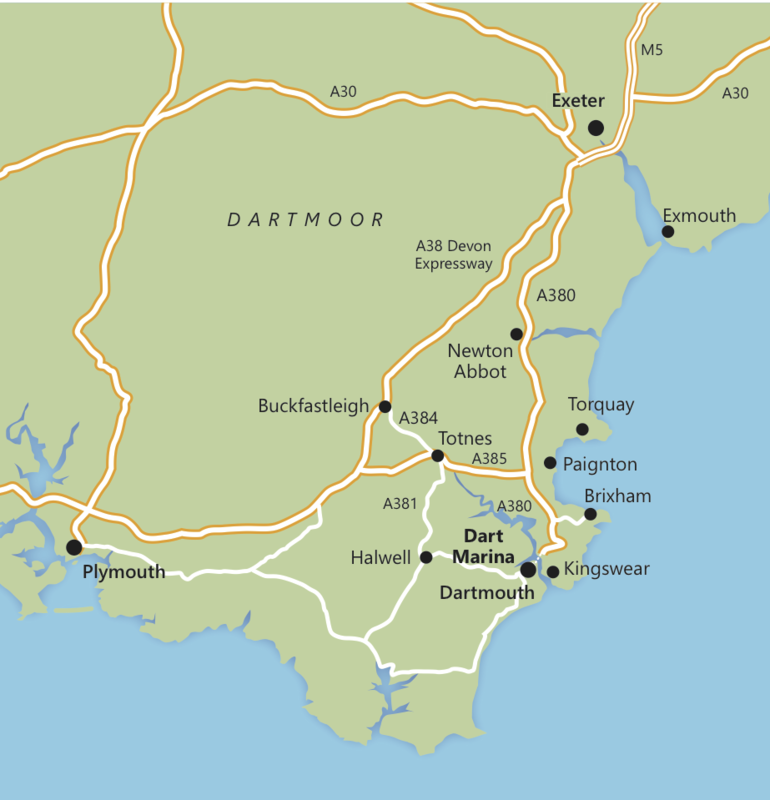 Dartmouth is 17 miles from the A384 (Buckfastleigh) exit of the A38 Devon Expressway between Exeter and Plymouth. Follow signs to Totnes and Dartmouth. At the bottom of Dartmouth hill keep in the left lane for Dart Marina. Or, from the M5, take the A380 exit from the Devon Expressway. Follow signs to Newton Abbot and Torquay, but turn right before Torquay towards Brixham. Just past Churston station, bear right and follow signs to Dartmouth via Higher Ferry. Dartmouth is 85 nautical miles from the West Solent and Needles channel. You can break this passage by stopping a night at Weymouth or Portland. 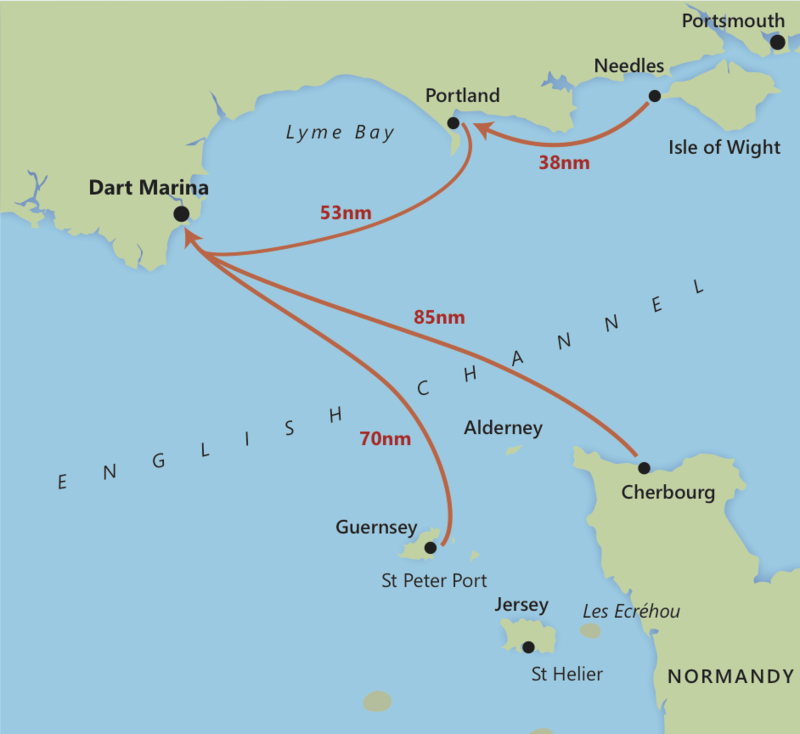 For yachts cruising down-Channel along the Normandy coast, Dartmouth is 85 nautical miles from Cherbourg. Dartmouth is only 70 nautical miles from St Peter Port on Guernsey, making it an excellent arrival point for yachts coming up from Brittany via the Channel Islands.